Peter Wayne, PhD, is an Assistant Professor of Medicine at Harvard Medical School, the founder and director of the Tree of Life Tai Chi Center, and Research Director of the Osher Center for Integrative Medicine jointly based at Brigham and Women’s Hospital and Harvard Medical School. Balance is the perfect state of still water. Let that be our model. It remains quiet within and is not disturbed on the surface. 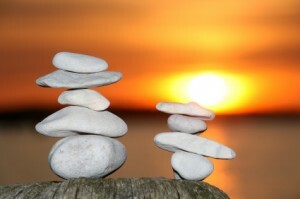 Tai Chi can help you to avoid falls by improving your balance. Although done slowly, Tai Chi burns as many calories as a vigorous walk, and has been shown to improve balance in seniors by 45%. Harvard medical professor Dr Peter Wayne says that Tai Chi also improves balance in people suffering with neurological problems, and recent studies have shown that Tai Chi also helps with balance for people with Parkinson’s disease. 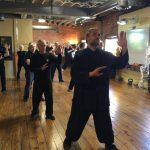 Heres how it works – Tai Chi teaches you to realign your body so that you can walk, stand, and move the way you should move naturally. Tai Chi works on developing good posture, strength, range of motion, and flexibility. It not only works on your body, but also works on your mind. Tai Chi is a Mind/Body practice. Anyone who has ever taken a fall is afraid of falling again; the fear of falling can be just as paralyzing as the fall itself. But Tai Chi helps you to be confident by making you more aware of both your internal body and the external world. This awareness helps you to be more centered and gives you a better sense of what you are doing and how you are doing it. Tai Chi does not require you to be in good health to get started but is adaptable to all ages and levels of fitness. We have had students ranging in ages from 5 to 95. Some of our students have started in wheelchairs, while others have been using a walker. But, over time, they have experienced great improvement in mobility and confidence levels. Dr Peter Wayne says that Tai Chi is safe for those with chronic disease, and has conducted studies that have included participants that were even awaiting a heart transplant. So, don’t wait to get started. NOW is the time!